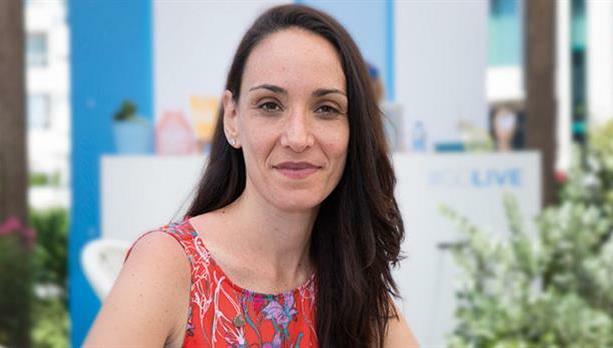 Campaign UK's Maisie McCabe asks Twitter's global marketing chief Leslie Berland about her plans to make a brand that is facing declining growth and steadily losing ground to Facebook more attractive to advertisers. Leslie Berland, Twitter’s global CMO, is reminiscing about following the NBA on Twitter last season. She wasn’t glued to expert commentators during games but instead watching out for what Ayesha Curry might say next. The wife of U.S. basketball star Stephen Curry is an enthusiastic user of social media – and occasionally tweets herself into trouble. Whereas sport stars’ loved ones were once only ever viewed through the lens of a TV camera during a brief break in the action, now they can have their say in real time alongside everyone else. "I think that’s what’s so powerful about Twitter," Berland explains. "You hear from voices you would never hear from before. It’s so interesting and so dynamic; it’s truly unlike any other platform." Twitter is betting big on sports. Recent rights deals with the NBA, NFL, and Sky Sports for Premier League highlights form part of its renewed emphasis on immediacy. A new global marketing push that kicked off at the end of July positions Twitter as the place where people find out "what’s happening," after research found that people who don’t use Twitter assume it is just a "social network." "We’re going from a multiscreen world to one-screen, which is Twitter," Berland says. "I believe that is extremely game-changing. Experience is deepened on Twitter, heightened on Twitter, and more dimensions are added when you’re watching and connecting with other people on the platform." Berland joined Twitter in February after nearly 11 years at American Express. As a marketer, she worked in partnership with Twitter extensively, pioneering social commerce and encouraging people to support local retailers through the Small Business Saturday initiative. She says any time American Express "wanted to do something that was completely breakthrough, that had never been done before," it went to Twitter. Part of Berland’s role is to encourage other marketers to do the same. The fact that marketing to advertisers is only an element of Berland’s job is a testament to how far the company’s 150-strong marketing function has come in the past 18 months. After initially focusing on business users, Twitter has built out its consumer marketing proposition, bringing in Sony Music’s Niamh O’Reilly to run EMEA. Berland says they look at both segments in the same way, targeting existing and potential users or advertisers. PR also came into the fold last week, following the departure of comms chief Natalie Kerris after just six months. Ensuring this global work is informing local activity will be key. Since joining Twitter, Berland has spent time in London, where she met U.K. agency Lucky Generals, Dublin, and Paris, and she will visit Japan, Singapore, and Australia this year. It seems to be going well. "The energy and the passion she has brought in has been phenomenal," U.K. MD Dara Nasr says. "She’s very receptive to our suggestions and has been very close since day one." It’s a crucial time for Twitter. The platform is under intense pressure from investors after failing to replicate the growth of rival Facebook. Twitter reported its slowest quarterly revenue growth in three years for the April-to-June-2016 period, up 20% year-on-year compared with Facebook’s 59% growth in the same quarter. Berland says Twitter is on a "very good trajectory" and a number of recent changes to make the product more intuitive are "having an impact" already. "We have a brand that means so many things to people, and Leslie brings a real clear sense of focus on the most important elements of that brand," Twitter’s cofounder and chief executive Jack Dorsey says. "Even though she’s pretty new to the company, she’s been engaged with Twitter as a marketer for most of our existence, so she knows the power as well as anyone here." Executives who worked with Berland at American Express say she spent more time with tech companies than agencies in her previous role. Lauren Crampsie, worldwide CMO at Ogilvy & Mather, regards the New Jersey native as a mentor and describes her as a "sort of perfect woman, whether that’s in the office, as a mom at home, or with her husband." As well as adjusting to working between New York and San Francisco, Berland will need to adapt to being part of a different type of marketing function. Anna Bateson, a former director of global consumer marketing at YouTube who now works at Guardian Media Group, contrasts being at a company where marketing leads product development with developer-led tech giants where there is a "limit to what marketing can deliver" in terms of change. "The real power and the real insight that marketing can bring is what the users want," Bateson says. "Ask what is the magic the platform brings to users and make sure that flows back into how the company approaches everything. Twitter needs to regain some confidence and believe in the brand and the magic of the product rather than trying to be something they’re not." Twitter has suffered from being compared with Facebook and it is telling that Berland’s new positioning was unveiled a day before Twitter’s disappointing results and two days before Facebook’s knockout ones. The work Berland has started should help investors and users understand the platform better. But they will have to accept that it might never get to shoot hoops at the level of Facebook and Google. Car: I’m a city girl – either a cab or Uber! Last books read: The Outliers by Kimberly McCreight and Green Eggs and Ham by Dr Seuss (last night)!